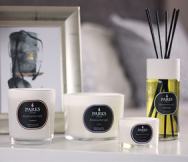 Parks Candles’ Aromatherapy Collection is designed around the concept of providing pure, uplifting scents which utterly transform entire homes, offices or other interior spaces in a natural, organic fashion. This collection features some of our largest candles and each scent combination offers something uniquely different. The candle boasts 10 individual wicks, each made from our own blend of 100% natural, smoke and soot-free cotton. The candles are each hand poured into a fine yet sturdy glass tub, making them extremely easy to maintain and care for throughout their lives. Those lives are long ones, as well. Each candle burns for more than 170 hours, even when all 10 wicks are used at once. You’ll have plenty of time to get used to them. The lemon and pomegranate scent combination is one of our most stimulating. We use only 200% natural, traditionally derived lemon essential oil to ensure that all of its aromatherapy effects are preserved. Lemon is often used as a ‘carrier’ scent for other essential oils in aromatherapy, making the second scent more effective and noticeable, without overpowering it. It is believed that the scent of lemon can also support recovery from fevers, infections and skin disorders, as well as address complaints, such as asthma and obesity. 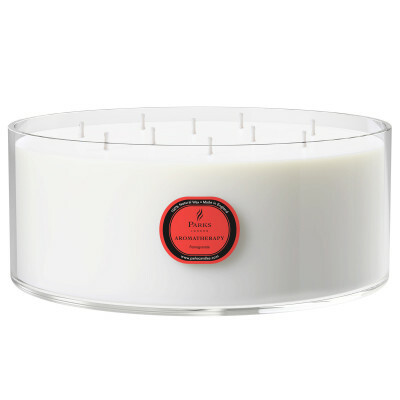 Aromatherapists and other alternative medicine practitioners use pomegranate to treat throat and heart complaints. It is also an overall mood enhancer. These scents are infused with and supported by our finest grade of candle wax, which is 100% pure and all but smokeless when used with our soot-free natural cotton wicks.